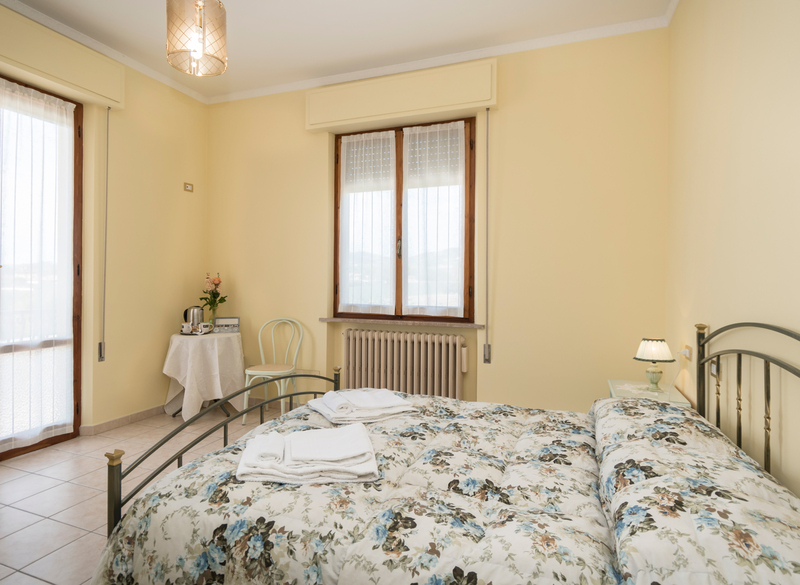 Camere Mariella is the ideal place to find kindness and hospitality. 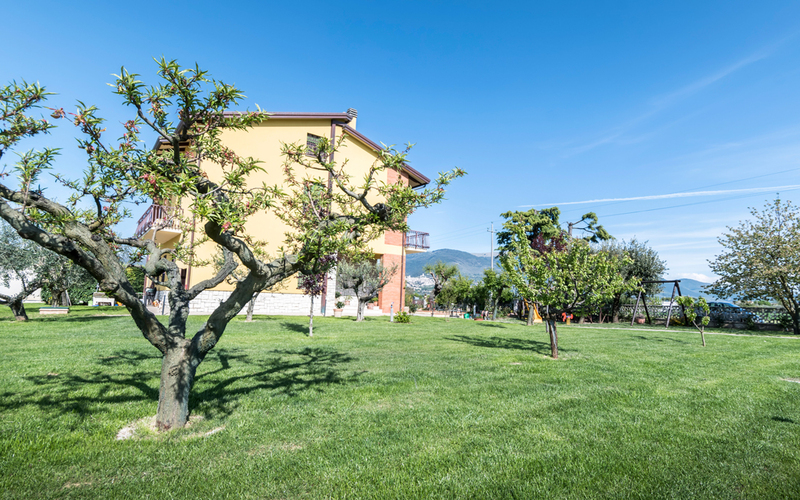 Here you can spend a holiday surrounded by the peaceful atmosphere that only the seraphic city of Assisi can provide. 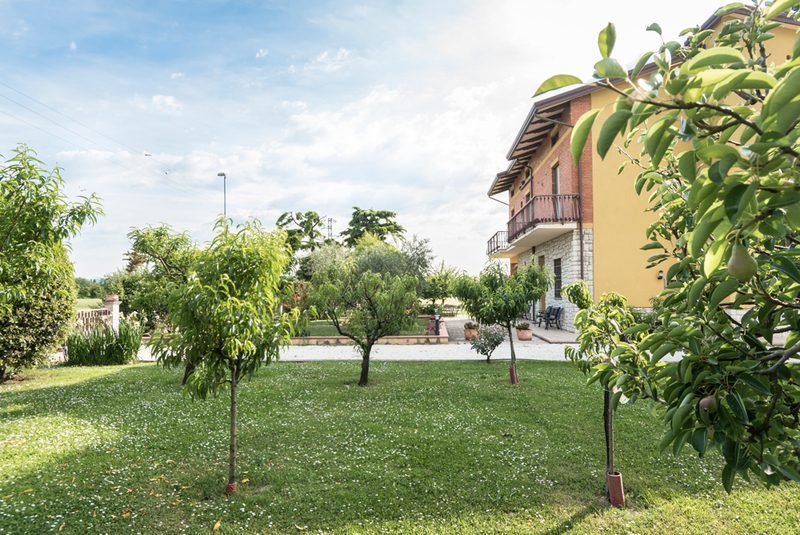 Our guests can enjoy our large garden which we constantly take care of by choosing the best plants and flowers to create the wonderful environment surrounding the accommodation. Fresh seasonal fruits, homemade cakes and sweets, jams, freshly baked croissants as well as many other local products. 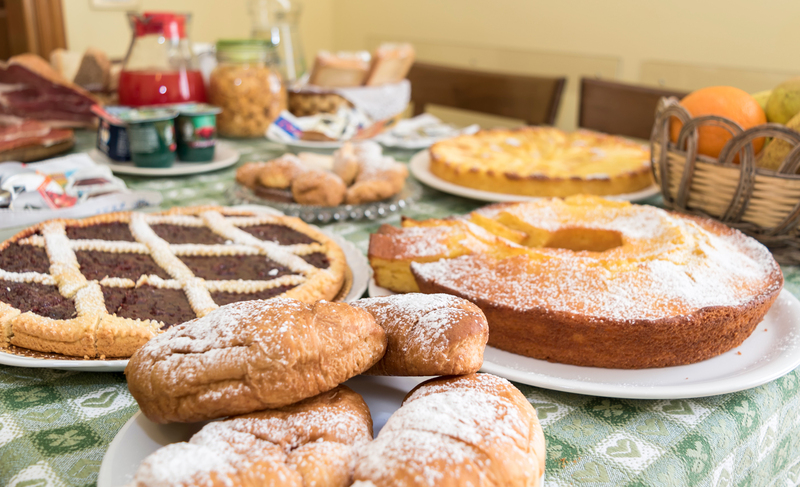 The price includes a rich breakfast with the chance to enjoy homemade cakes and fresh fruits. Please ask to the front desk free WIFI access to be always connected. 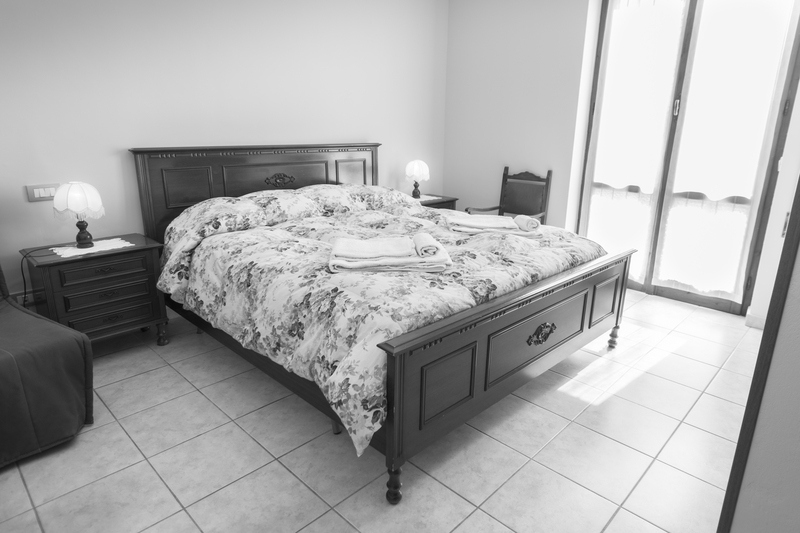 Our property is equipped with a large private parking and absolutely free of charge. You can find here a TV room, an indoor garden with , bicycle availability and the possibility to bring small animals. 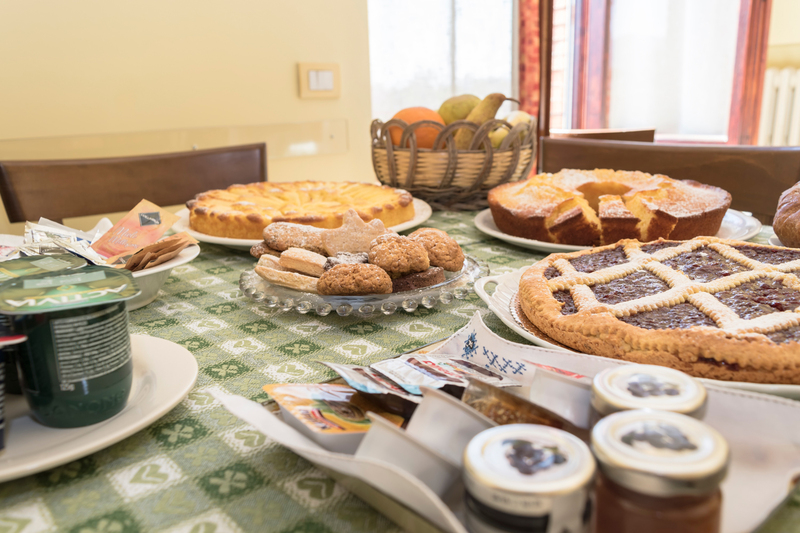 Our rich breakfast combines the typical Italian tradition to our local products such as fresh seasonal fruits, homemade cakes, jams, hot croissants, coffee and cappuccino as well as a wide range of drinks both cold and hot to choose from. 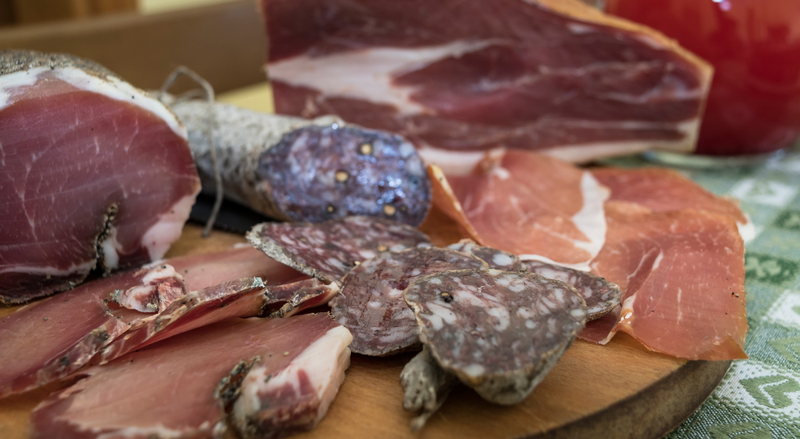 We also offer our guests the chance to experience an Umbria Norcineria breakfast on demand served with all Norcineria typical products. To further appreciate the stunning countryside surrounding our accommodation we offer our guests a large garden of which we constantly take care by choosing the best plants and flowers. 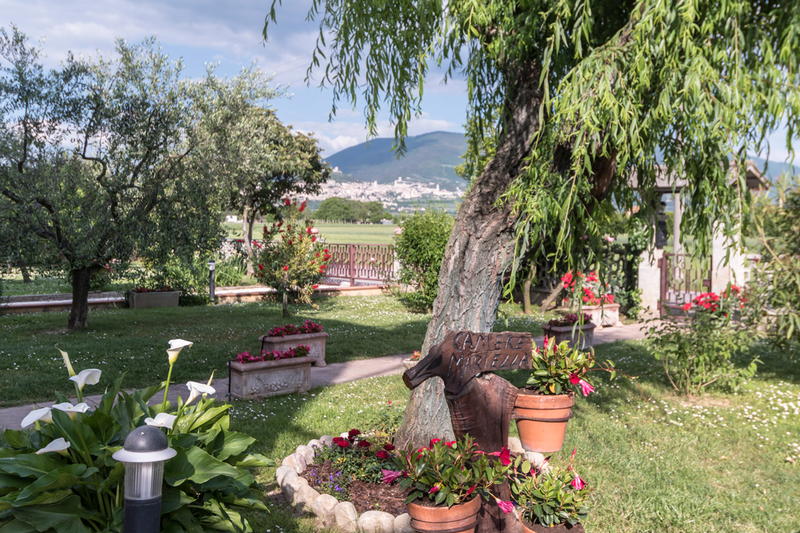 An excellent place for al fresco meals, and ideal venue for relaxing in the shade of the Assisi hill while enjoying the view of St. Francis’s city or of the plain of Assisan level ground dominate by the Papal Church of Santa Maria degli Angeli. Iscriviti alla nostra newsletter per rimanere sempre aggiornato sulle ultime offerte.